White Burgundy is almost always associated with Chardonnay, and with good reason – those wines are some of the most sought-after and expensive in the world. Aligoté happens to be another white grape used to make dry white wines in Burgundy. One of its synonyms, Alligotay, should clue you in on how to pronounce it. The first record of Aligoté was in the 18th century and it’s played second fiddle to Chardonnay ever since. DNA profiling has shown it to be part of the Pinot family. The wines tend to have notes of apple and lemon, like many Chardonnays, but will be higher in acid and often show some herbal qualities. Aligoté is meant to be consumed young. Historically, the vines of Aligoté and Chardonnay were inter-planted and producers would often create field blends of the two, relying on the higher acid of the Aligoté to give the wine a little lift. Sadly, Aligoté is not as profitable and now the vines tend to be relegated to the highest and lowest vineyard sites (as opposed to the sweet spot in the middle of the slope), where the locals serve it with simple meals or mix it with blackcurrant liqueur to make a kir. While found throughout Burgundy(even in Chablis), only the village of Bouzeron in the Côte Chalonnaise has its own appellation for Aligoté, called Bourgogne Aligoté-Bouzeron (you’ll see this on the label). Bouzeron has lower yield requirements for its Aligoté (45 hl/ha, which translates to 2.5 tons per acre vs. 60 hl/ha elsewhere) and many think the best examples come from here. 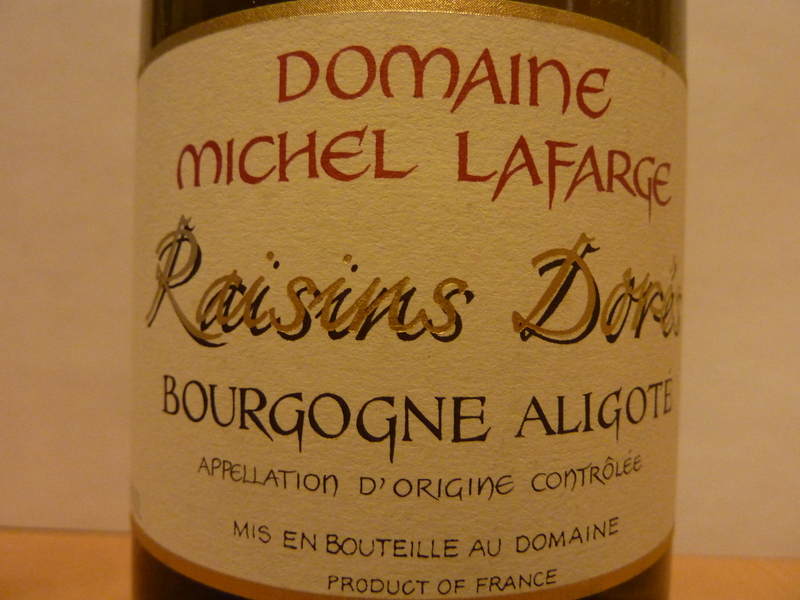 Another label option is Bourgogne Aligoté (up to 15% Chardonnay can be blended in), indicating it came from outside Bouzeron, but somewhere within Burgundy. Outside of Alsace, this is one of the few instances where you’ll see the varietal indicated on the label. Pierre Morey and Michel Lafarge are two outstanding producers to look for. Burgundy’s sparkling wine, Crémant de Bourgogne, may also be comprised of Aligoté. Eastern Europe shows more love to Aligoté. It can be found in Bulgaria, Romania and many of the ex-Soviet republics: Ukraine, Moldva, Georgia, Azerbaijan and Kazakhstan. I will resist the urge to make any Borat jokes.